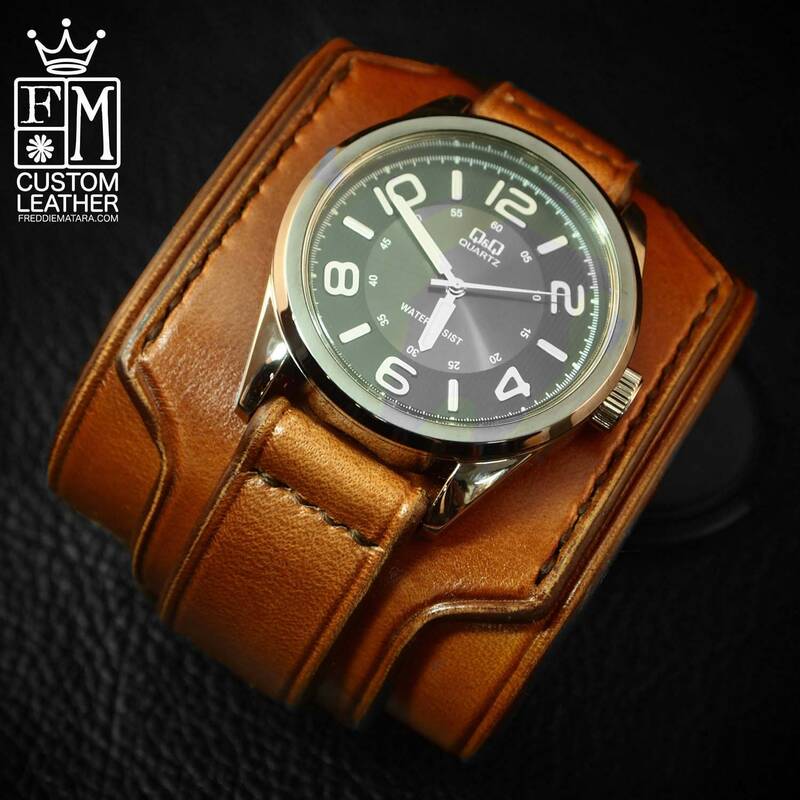 Brown Leather cuff watch : Light Brown wide leather wristband / watchband. Custom Made in New York! 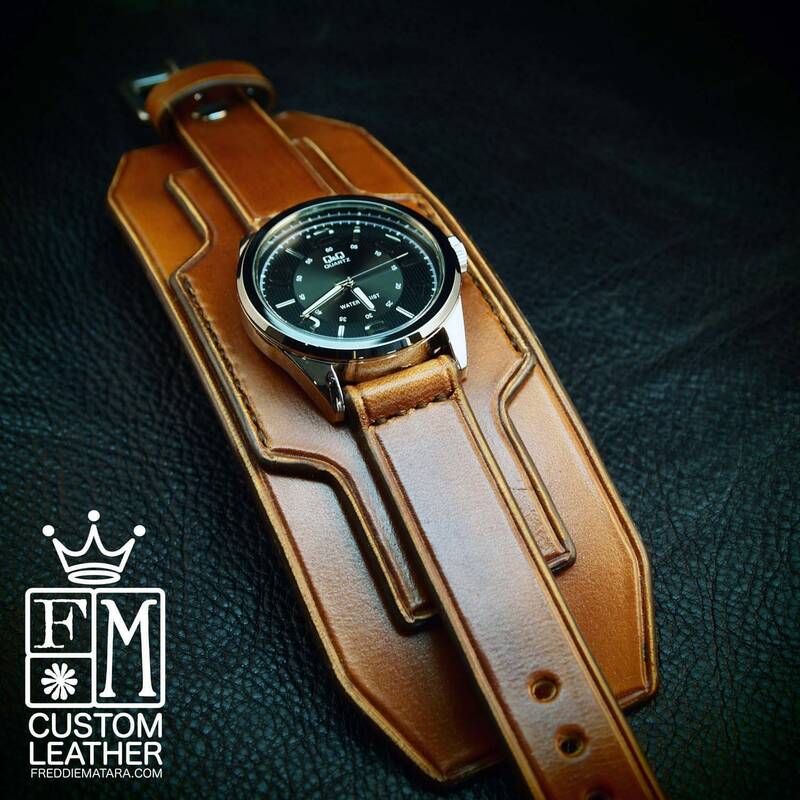 This Brown leather cuff watch is 2.5" wide and multi layered. 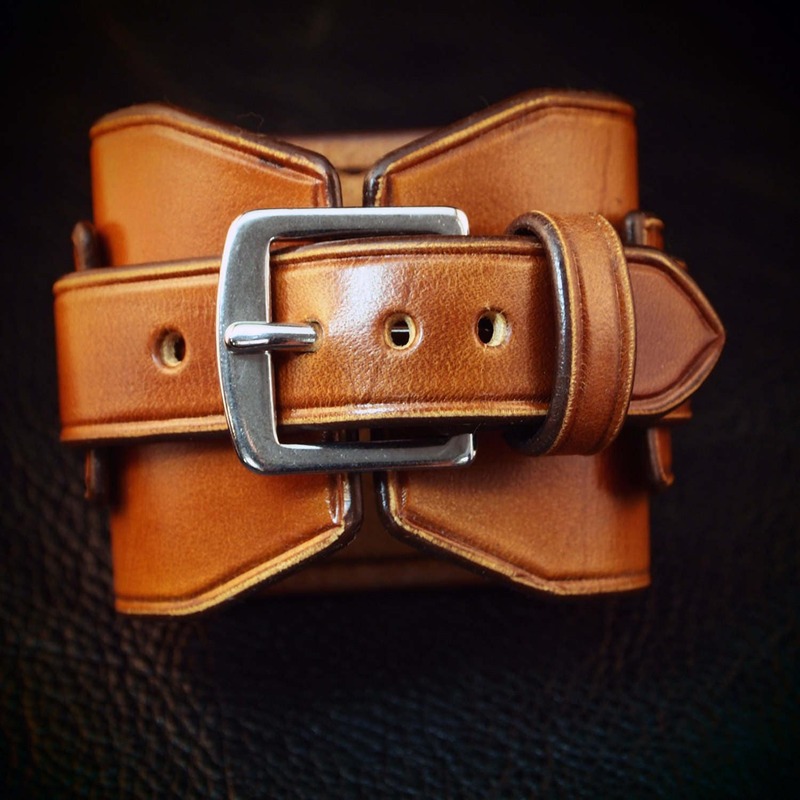 It is made using natural veg tan leather which is dyed a vintage medium brown, slightly distressed and hand worked using a host of advanced leatherworking techniques! 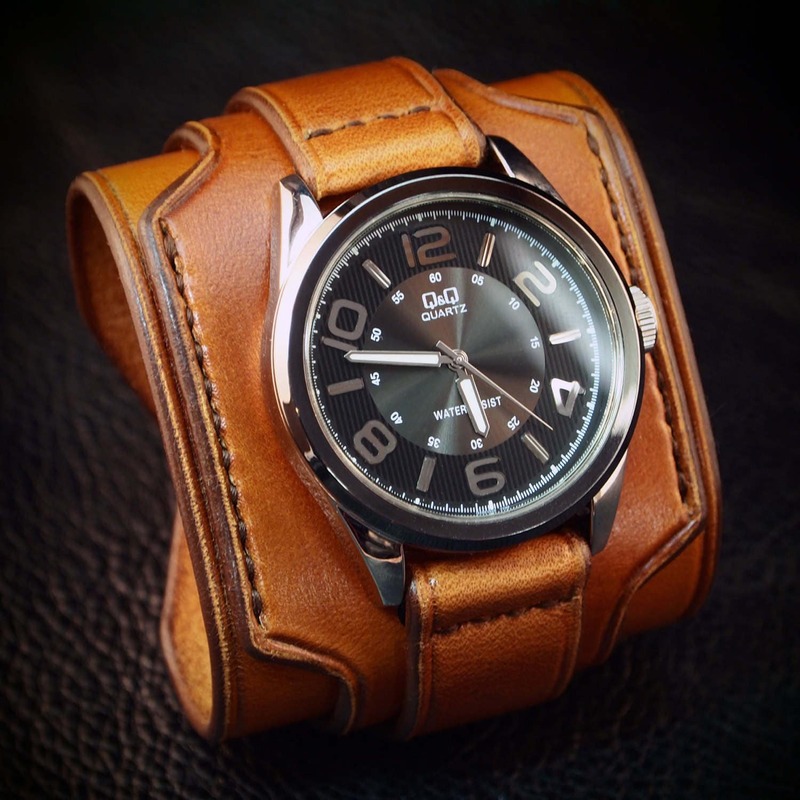 A beautiful "Q & Q" watch made by Citizen with a sharp black face tops it off. 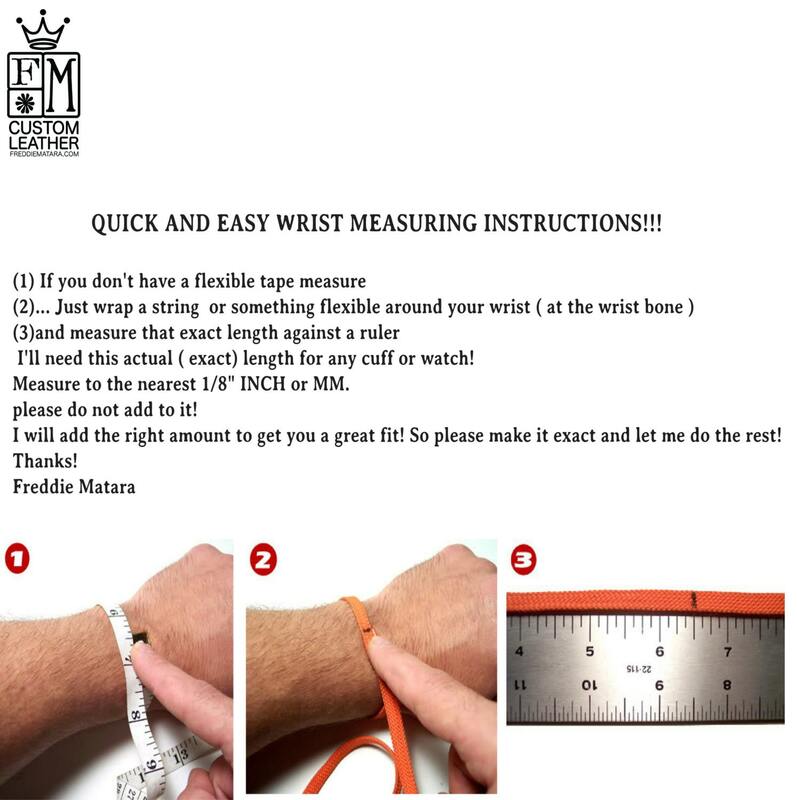 This is a limited edition watch and won't be available long! I use a fine hand in my work bridging the gap between craft and art and truly LOVE making you leather wristwear.